The survey asked readers and online followers to vote for ‘The Best non-MSA Series’ in the UK. 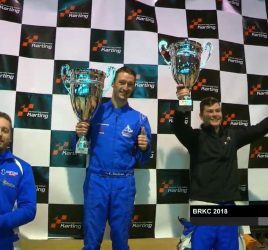 With an increase in ‘Arrive and Drive’ championships over the past few years – where drivers pay a fixed fee to hire the equipment they need to go racing, as opposed to buying and preparing their own equipment for an MSA event – drivers now have a large selection of championships to choose from. After two days of voting, BRKC emerged to take a close second place behind the long-established Club 100 championship. 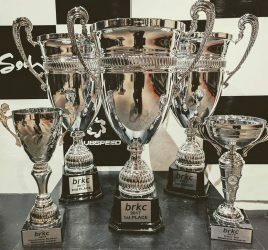 Only two votes separated BRKC from the winners, with the BRKC beating the likes of the British University Karting Championship, Daytona’s DMAX and the Whilton Mill’s NKL in the process. “I am thrilled that so many people voted for BRKC. Since I started the championship in 2011, it has gone from strength to strength and I’m proud it is now recognised as one of the UK’s leading series. We changed the format radically two years ago to make it an extra special three-day ‘shootout’ hosted at Formula Fast in Milton Keynes. 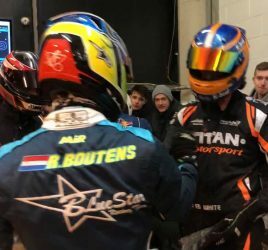 “We’ve worked closely with Brad for some time now to tailor-make BRKC into the ultimate drivers competition, where anyone – no matter what their previous motorsport experience – can compete on equal terms for a shot at being British Champion. Karting Magazine is the UK’s leading karting publication, established in 1960 and with a huge circulation and online following of over 30,000 fans. The magazine recently awarded Formula Fast runner up in the ‘Best Indoor Kart Circuit’ category. The British Rental Kart Championship is a three-day event, hosted every January at Formula Fast Indoor Karting in Milton Keynes. Entries are limited to 100 drivers, with trophies, a place in the Kart World Championship, and a £1000 cash prize up for grabs. For more information, please visit www.brkc.co.uk or call Formula Fast on 01908 904111.